I read this aloud to my seven-year-old daughter, and we both wondered where the promised fairies were for the first half. There is a lot to like about Bex, an athlete self-conscious about her height (she hates being called “Big Bex,” which does not stop anyone in sixth grade), and this story has a lot of potential. Actually, that should be ‘stories,’ because there is a lot going on here, and it’s a bit of a mess. 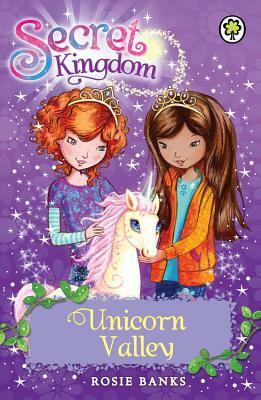 A good editor could have made this a unique book for all tween girls who don’t fit in. Bex has a lot going on in her life. Her mother abandoned her, her father is in prison, and she and her younger sister, Reagan, live with their grandmother, who is on a fixed income. This means off-brand ice cream that never tastes quite the same and Bex only has a birthday party because she’s added last-minute to the party Aunt Jeanie (Aunt Meanie) is throwing for her spoiled triplets. 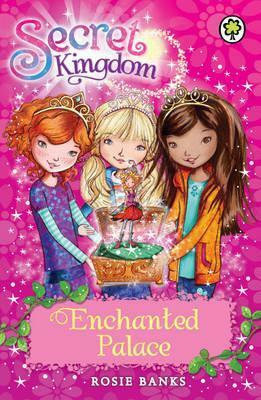 Though she will turn twelve in the course of the book, Bex still believes in fairies, and her birthday wish is for fairies for herself and her three best friends. Why is she so sure that her birthday wish will be granted? Has she had previous birthday wishes granted? Is there something special about turning twelve that ensures wishes are granted? Is it simply that her life is difficult and she really needs it this year? We have no idea. Half the book unfolds without a fairy in sight, and no explanation for why Bex believes so fervently in fairies. Eventually, the fairies show up, but they are misfits, too. One is allergic to pixie dust, one has a missing wing, one has lopsided wings, and one gets airsick when she flies. What a lovely match for Bex and her outcast friends! Except that this parallel is never used and so goes wasted. The fairies make a mess out of the girls’ wishes and Bex ends up with all four of them. It should be noted that Bex’s friends, not believers in fairies, have no difficulty adjusting to a world in which fairies are real and only express annoyance about them. The fairies are forgotten for chunks of the novel, turning up almost randomly to wreak havoc. They have their own unrealized plot: they have been cast out of the fairy realm and must make Bex happy in order to return. The fairies are sidelined for quite a while as drama unfolds at the GATE, the school for gifted and talented students Bex attends. Bex’s talent is sports, and she is the only girl in the program. This is a rich source for story material on its own, as Bex is teased by the girly girls, but the focus instead is on a shake-up at the school. All programs but drama, music, and dance are eliminated, with all students forced to choose one of the remaining disciplines. A lengthy subplot ensues in which Bex is ringleader of a group of students determined to convince the powers that be to change their minds. At some point late in the book, a love interest for Bex is thrown in, which undermines her appeal. All of a sudden she’s worried about whether or not boys will ever like her. This fear comes out of nowhere and seems tacked-on, to what purpose I have no idea. Also late in the book, Bex’s grandmother develops sudden and severe symptoms of dementia, and this storyline goes nowhere. A touching moment when Bex visits her father in prison is another reminder of how powerful this book could have been. The plot holes and dangling subplots are more frustrating because Bex could be a great hero for tween misfits. And if the fairy storyline were woven into the main narrative more consistently, the fairies could be a lovely parallel for the misfit girls. As it is, there is too much going on in this book and the different components feel tacked together. Apparently this is the first in a series and presumably some of these plot threads are picked up in later books. I liked Bex, and I wish she’d had a good editor to make her story shine. Source disclosure: I received an e-galley courtesy of the author.